The Suite Concept gets plush at L Hotel Seminyak, a desirable choice among boutique hotels Bali has to offer. Think of femininity, modernization, organic charm and luxe, this season and lasting for three months, L Hotel Seminyak and L Rooftop Kitchen & Bar will present an artsy and fun pop up bar for like-minded and the trendy to play, sip their favourite cocktails and snap their snazzy chic Instalgrammable shots. 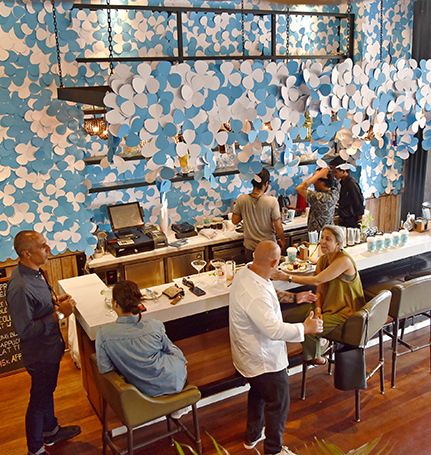 Located on the trendy strip of Seminyak - Petitenget, L’s Bar, with a funky yet whimsical vibe complete with neon-lit signs, overhanging recycled gin, vodka, whiskey bottles, is far from your average cocktail and co ee bar. Now an iconic heartbeat in its Seminyak - Petitenget neighbourhood full of hip culinary gems, L’s Bar is ready to refresh its artisanal cocktail and co ee menu and delight the palate, with a keen insight into the island’s diverse food and beverage scene from tending the bars of Seminyak’s hottest drinking and party venues. 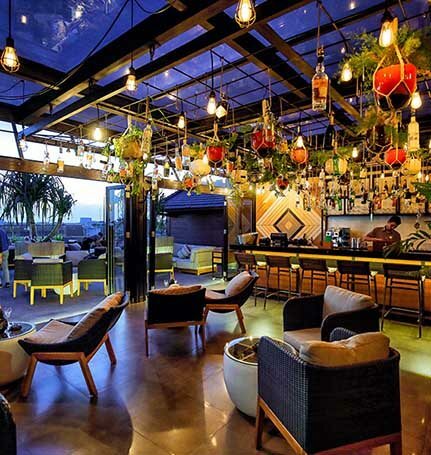 L Hotel’s epic rooftop space has an open-air terrace and an alluring sheltered zone for patrons to lull around and sip their favourite cocktail as the sun sets. L Rooftop Kitchen & Bar’s vision is to deliver an authentic farm-to-table dining experience with sustainability and traceability as key to her culinary concept. Hearty breakfast is served here in the morning, and guests may enjoy their brunch or breakfast at any time of the day.
" Let us know your preference and we will take care of the rest "
SOHAM Wellness Center is where guest can experience happiness, from our world-class wellness facilities & services to our unmatched amenities. Enjoy our most comprehensive lifestyle experience with access to all wellness facilities. Spread over an area of about 2.500 sq meters, stylishly furnished in harmonious and peaceful surrounding. Rest and Rejuvenate- Pamper yourself at our cosy and holistic spa,L’SPA is located inside on the hotel’s first floor.Designed to sooth tensed nerves and recharge, look forward to therapeutic treatments, from Balinese massages, different massages, facials, mani and pedicure including foot reflexology to ayuvedic head scalp treatments. 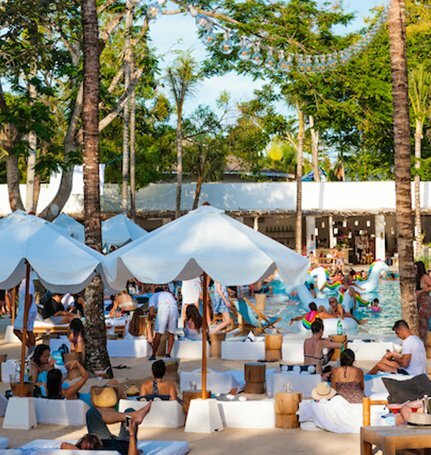 Welcome to Bali's largest saltwater pool haven, home to the most glamorous pool parties, wedding events, music festivals and more in the heart of Seminyak. Thanks to staf: Burhan, Herman, Wulan, Eka, yunita, Herry, Tari, and Sukma. I stayed at this hotel from June 19 to 27, 2018 with the family, the staff is very warm, welcoming and listening. The hotel is located in the city very well located and very clean I recommend it highly.